Our floating shelves are stylish and very popular, but we understand you may have reservations about how strong they are or if your walls will hold them. Ideal for stud walls, alcoves or heavy items, these walnut floating shelf battens are sold in pairs and are very useful for providing extra shelf support. 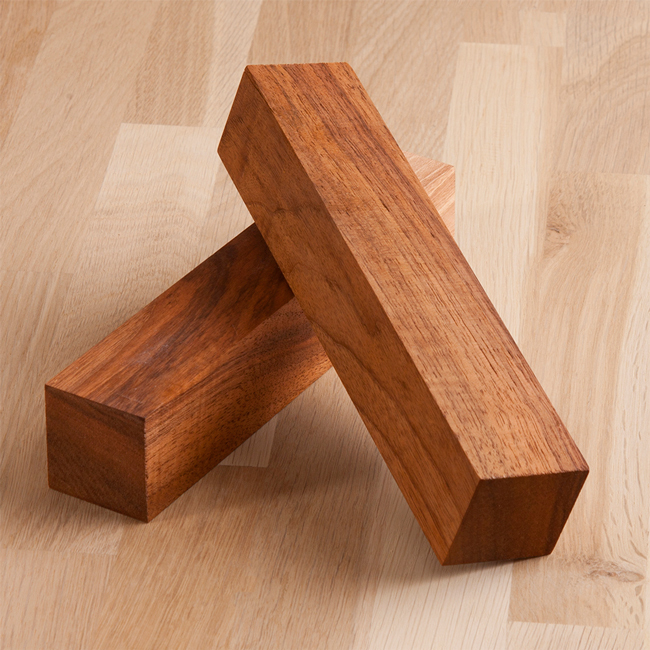 They are crafted with the same solid walnut staves that constitute our walnut shelves and worktops, meaning they will look fantastic in your kitchen. Walnut battens measure 200mm x 40mm x 40mm (length x width x thickness), and will arrive having been sanded and varnished using Danish oil. Installation is easy: simply glue or screw the battens into place. Using these shelves for stud walls will require the battens to be screwed onto the studs themselves.